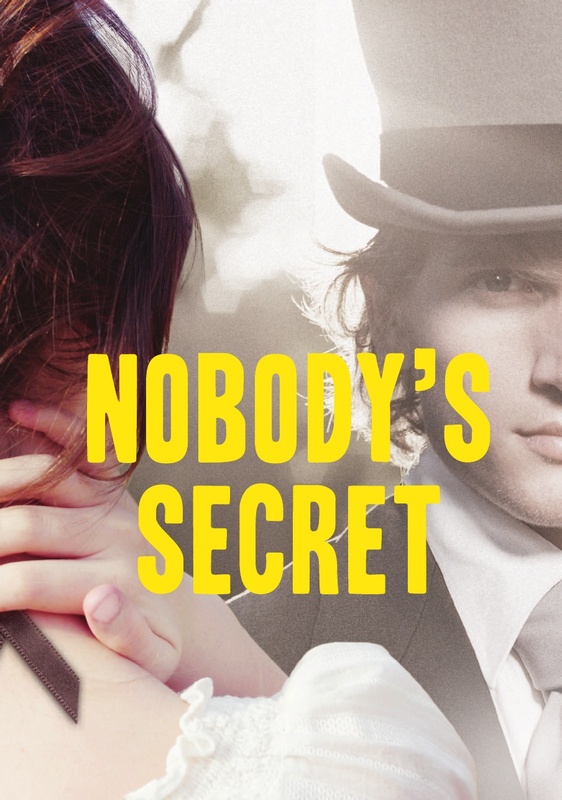 Nobody's Secret is a fiction book about Emily Dickinson as a young fifteen year old. Although I liked the plot, the character was not what I was expecting. When I hear Emily Dickinson, I see the little old lady who only wore white dresses and never left her house. So, as a teenager, I would imagine her to be a little more restrained than this Emily is. This Emily is a very daredevilish, headstrong teenager. So, not quite what I was expecting, but, once I got over my preconceptions, this book was amazing. As a teenager, Emily's adventuresome attitude on life is believable, and very relatable. MacColl manages to catch the voice of a rebellious teenager perfectly. "'Miss, I'm sorry for making such a spectacle of myself.' 'So you should be, silly girl,' Emily said, not unkindly. 'Here, sit down and churn the butter; that will calm your nerves.' Under her breath she said, 'It always deadens mine.' Gulping, Mary Katherine nodded." Emily doesn't want to do the tedious jobs of a housekeeper forever, so, she keeps slipping out of the house to dawdle and smell the flowers. While out, she meets a stranger, who also happens to be really cute, and then her life starts to become more problematic as she discovers secrets she can't trust anyone else to know. This book is full of mystery, and suspense. You never can guess what strange thing she will discover next, or who might be the problem. I enjoyed this book, but if you read this expecting Emily Dickinson, you might be a little surprised to find that Emily is not the reserved person you thought she would be. So, I would definitely recommend this book. It was well written, and it captures the attitude of any defiant teenager as they try to do what they want, and not what others think they should do. Again! by Emily Gravett has already released in the UK, but the US version is set to release in April. This story about a dragon who wants his bedtime story read again and again ends with a fiery surprise. On a Beam of Light: A Story of Albert Einstein is a picture book written by Jennifer Berne and illustrated by Vladimir Radunsky. 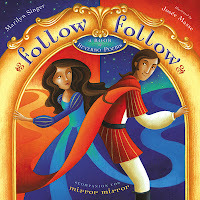 Robin Smith over at Calling Caldecott said, "I think this is one to watch." Watch it I shall. Deborah Heiligman and LeUyen Pham teamed up to create a nonfiction picture book that releases in June: The Boy Who Loved Math: The Improbable Life of Paul Erdos. I've had this one on my list for months, but I have not seen it yet. I guess I'll just have to wait until June. The Story of Fish & Snail by Deborah Freedman, she of Blue Chicken fame, also comes out in June, and judging only from the cover (and the brief description provided by the publisher) it looks like it's worth finding a copy to read. Bink & Gollie: Best Friends Forever by Kate DiCamillo and Alison McGhee, illustrated by the marvelous Tony Fucile should be on shelves in April. I don't think I can tell you how much we love Bink and Gollie at our house. Zebra Forest by Adina Rishe Gewirtz is a book I'm looking forward to rereading and recommending when it goes on sale next month. You should read it. So, as the weather warms up and the school year winds down, what books are you looking forward to reading? Noting similarities in recently published children's literature, book-watchers periodically engage in discussion and speculation about trends: middle-grade novels about bullying, young adult books starring vampires, a near ubiquity of bears in picture books, or fairy tales re-imagined for all ages. But what about similarities that are limited to a couple of books--not a trend by any means--but certainly a curious coincidence? Just for fun, let's look at a few similarities in books published this year. In Navigating Early by Clare Vanderpool, Early searches for his brother who was presumably killed in the war. Georgie searches for her sister even though the town has held her funeral in One Came Home by Amy Timberlake. When Early's dad disappears, she tries to find him in Blue Baillett's new book, Hold Fast. And while we're on the subject . . . In Navigating Early, Early is a boy who has an unusual way of looking at numbers. And in Hold Fast, Early is a girl who has a way with words. Different, but still similar. Counterfeiters try to steal Lincoln's body in an attempt to use it as ransom to negotiate the return of their engraver in Lincoln's Grave Robbers by Steve Sheinkin. In One Came Home, Georgie stumbles upon counterfeiters as she searches for her sister. Patricia Reilly Giff's book, Gingersnap, features Jayna who makes amazing soup. Recipes included. A Tangle of Knots by Lisa Graff features eleven-year-old Cady who has an amazing cake-baking talent. Recipes included. Summer reads passages from Treasure Island to kids at the shelter in Hold Fast. Annie reads passages from Treasure Island to her brother, Rew, in Zebra Forest by Adina Rishe Gewirtz. In the Shadow of Blackbirds by Cat Winters is set in 1918 San Diego where residents limit travel, cover their faces in masks, and eat large amounts of onions in an attempt to ward off the deadly Spanish influenza. Written in Stone by Rosanne Parry shows some of the aftermath of the 1918 flu that killed Pearl's mother and sibling. In Hattie Ever After by Kirby Larsen, Hattie remembers the Spanish influenza that killed Mattie in Hattie Big Sky. Mary Shelley Black has to figure out whom she can trust in a city plagued by fear and fraud in In the Shadow of Blackbirds. Hattie, in Hattie Ever After, has to figure out whom she can trust when some of those closest to her take advantage of her. Similarities here seem inevitable since both stories are set in the Golden Age of Con. Ok, there's a sampling of coincidences from this year's books. Admittedly, some are stronger than others, but I think they are all fun to consider. What did I miss? This companion to Mirror Mirror: A Book of Reversible Verse is amazing! 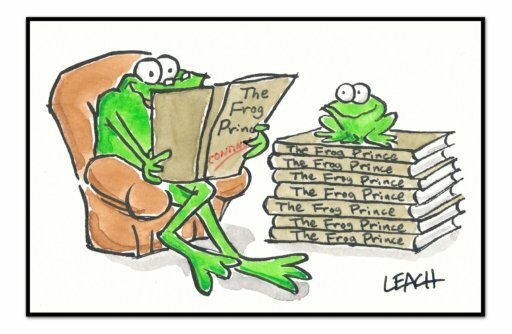 Follow Follow: A Book of Reverso Poems contains more reverso poems from some classic fairy tales. For those of you who haven't had previous experience with this kind of book, reverso means that if you read the poem, line by line, from the top to bottom, and then from bottom to top, it would still make sense. The exciting part about these poems, is most of them are written from two different points of view. So, for example, when you read, "Ready, Steady, Go!" a retelling of the Tortoise and the Hare, you get to read the hare's perspective for one poem and for the reverso poem, you get to read it from the tortoise's point of view. 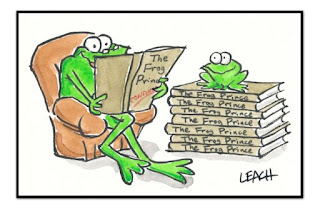 Although I love all of the poems, my favorites are the retelling of "Aladdin", and the retelling of "The Emperor's New Clothes". Unfortunately, without putting on the whole poem, I couldn't find a way to place a segment here that made sense. So, I decided to do one from the retelling of the Little Mermaid. The cleverly done poems get all wrapped up by the very clever and carefully done pictures. The pictures are split in half as the poems are, but then they are tied together. They have opposite colors, but they look like, if you changed the colors, they could just be one picture. (Like on the cover) This is a fun book for kids of all ages, but especially fun if you already know the background fairy tale. I would definitely recommend this book to anyone who needs a good smile, because they will laugh, as they read both perspectives from, essentially, the same poem!